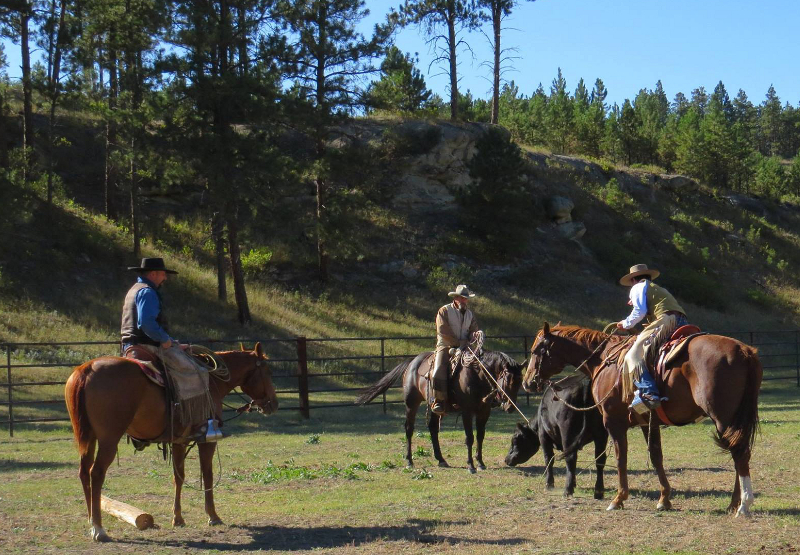 I have attended several of Scott’s clinics, and every one of them has been an excellent, comprehensive review of ranch roping shots, cattle-handling and horsemanship. Scott’s a natural-born teacher with great depth of experience. And he’s not just an outstanding instructor to the whole class; he works very hard to attend to the needs of the individual as well. Scott delivers the information in a thorough and practical way, but emphasizes learning by doing. If you attend one of Scott’s clinics, you’ll gain confidence and the desire to move upwards in all facets of ranch roping, and you’ll make a lot of great friends along the way. Attending a Scott Grosskopf clinic is a great way to learn traditional Vaquero roping and horsemanship from someone who truly enjoys sharing his passions of roping, horses, and the Vaquero way! I would highly encourage anyone who has an opportunity to go to one of Scott Grosskopf’s clinics to sign up without hesitation. I have personally been to two of his clinics, and my wife has been to one. We both would attend again. They are not only highly informative but also a lot of fun. Scott is well qualified in his area, and his clinics are great for either the beginner or for someone more experienced who would like to better their roping skills. I attended Scott’s Roping Clinic in Klamath Falls, Oregon, in February 2007. I was very impressed. Scott has the knowledge and ability to help not only people that have never roped off a horse, but also very accomplished ropers. I was pleased with how he was able to spend time with everyone and help each of us at our own level. I certainly would go to another of his clinics.